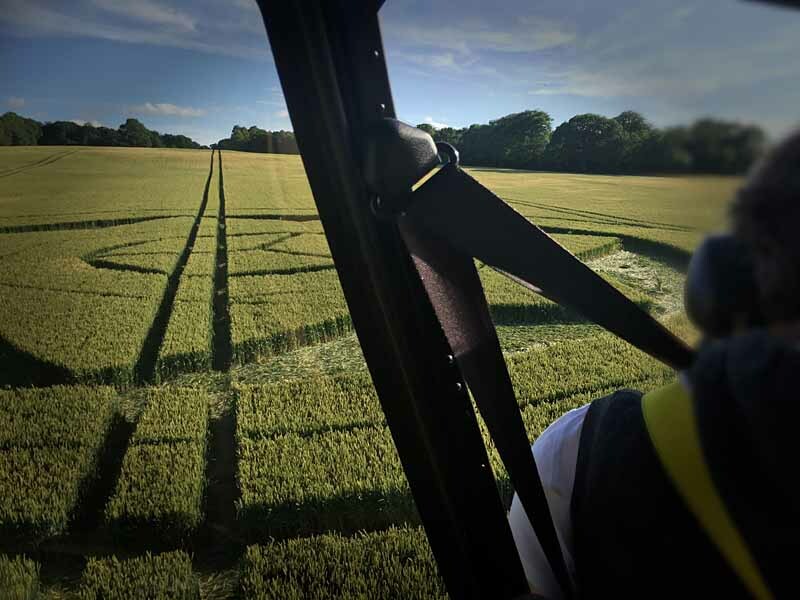 If you look at the Google Maps link on the left-hand side of this page you will see that this field has not always been used for agriculture – the Google Maps image shows the location as grass land rather than being planted with crops. 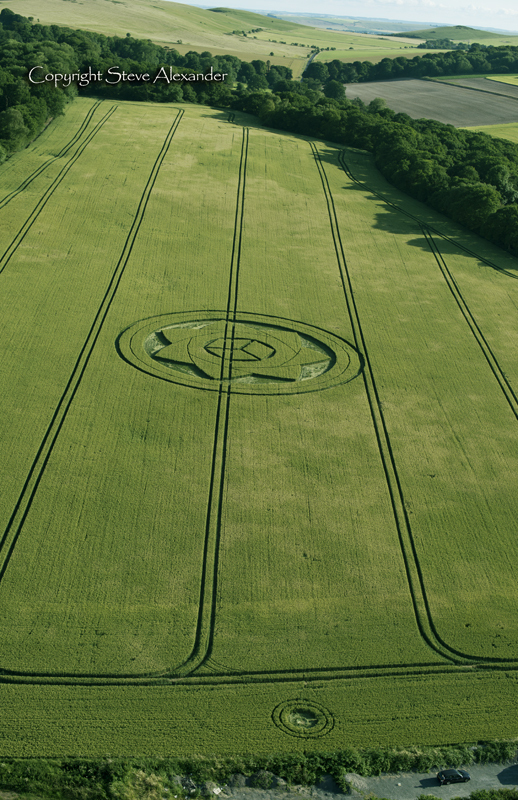 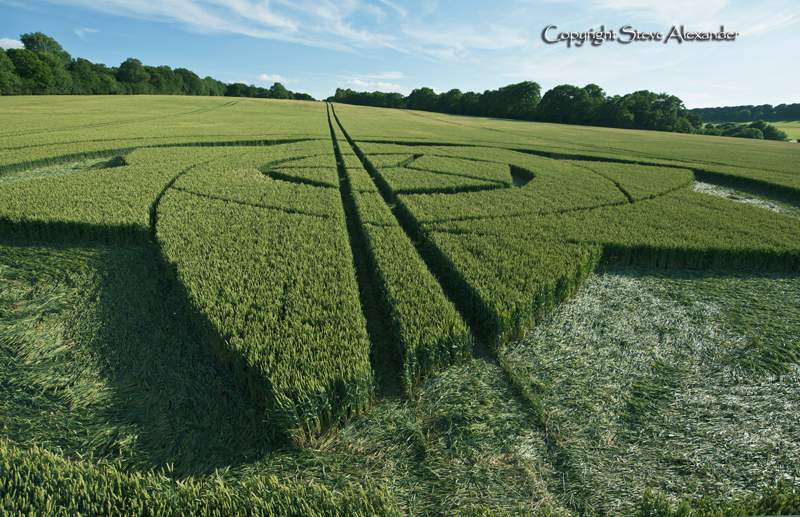 The crop circle lies front and centre of the horseshoe shape of trees that is Boreham Wood. 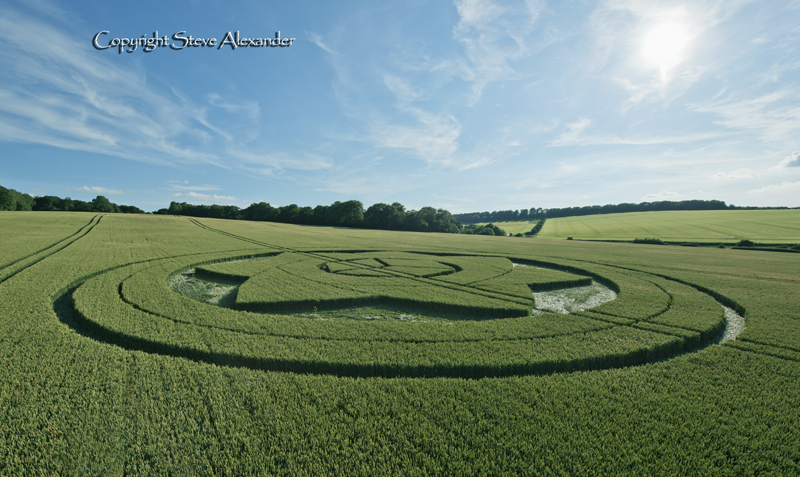 This circle is in fact very close-by to the previously reported circle at Langdean Bottom on the 26th of June. 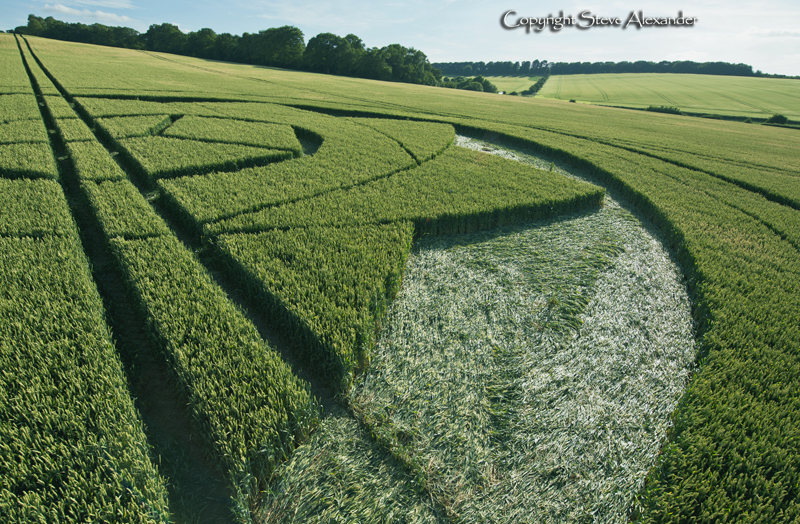 It is also very close to West Woods which have seen many formations in the fields close to it over the years. 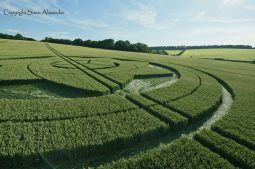 The ancient West Woods is popular with walkers, particularly in the spring where the woodland floor is carpeted with bluebells (wild flowers) – a very enchanting sight. 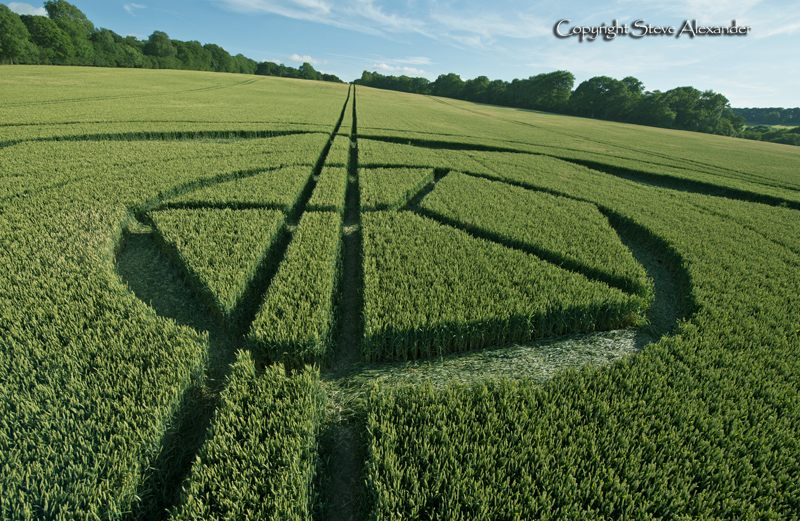 West Woods also contains a small longbarrow known as West Woods Barrow, or Barrow Cospe. 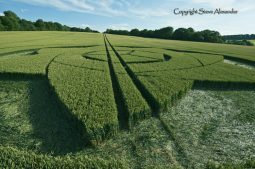 It’s quite hard to see as it just appears as a raised earthen mound and there are also several saracen stones in the area, but it is unknown if they have been there since ancient times, have been moved from original positions, or are more modern additions to the landscape. 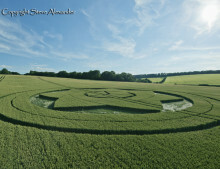 West Woods is a magical place to visit and is well worth a visit should you get the opportunity. 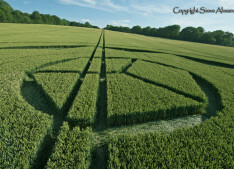 You can read more about West Woods and Barrow Copse here. 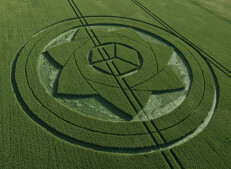 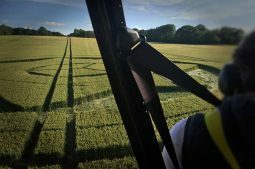 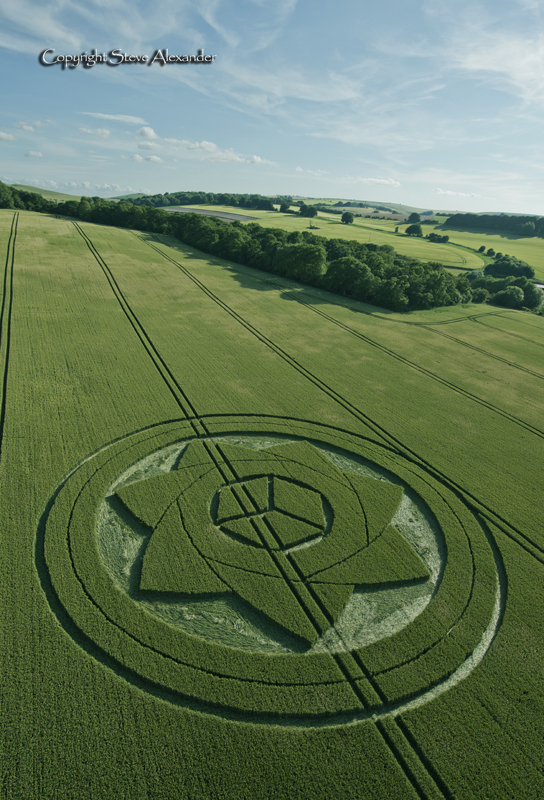 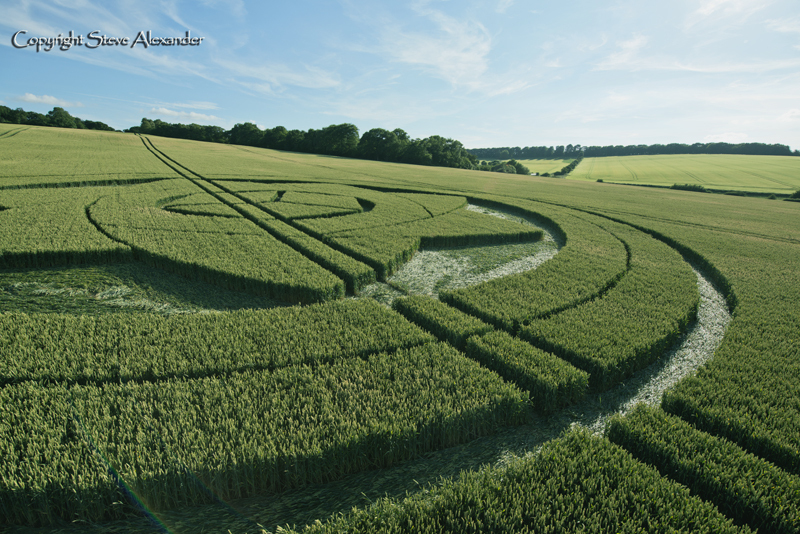 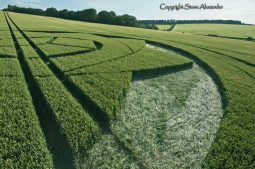 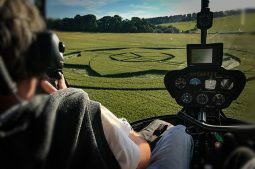 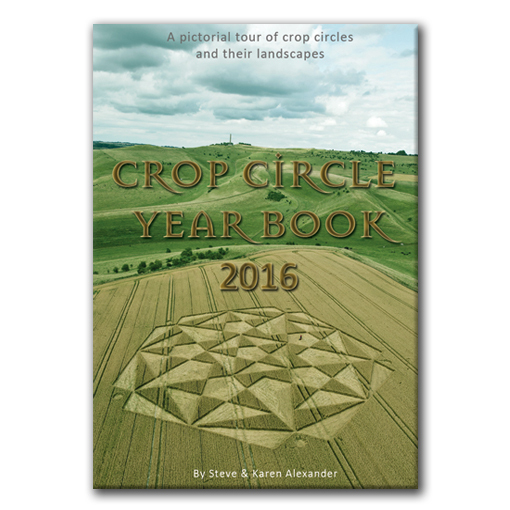 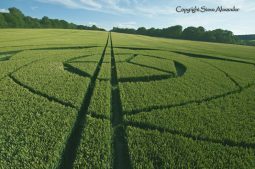 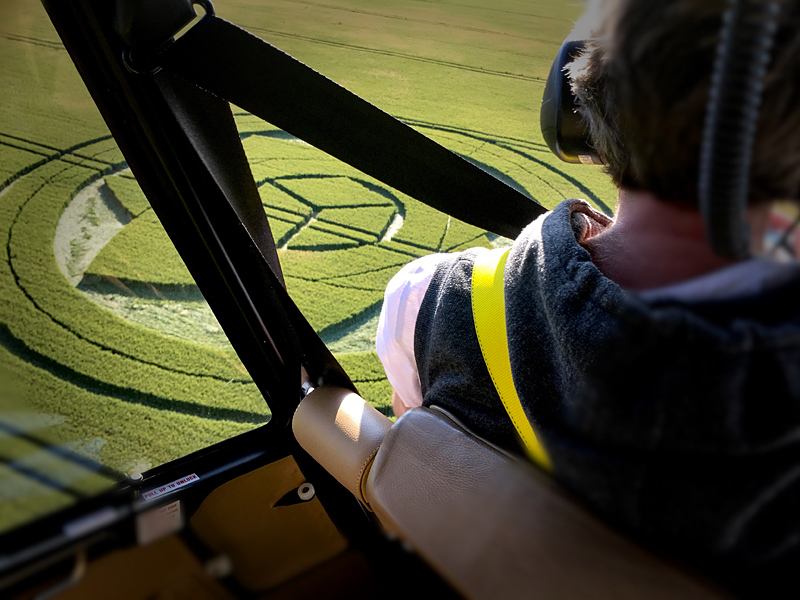 The crop circle measures approximately 200ft in diameter and is a seven-petalled flower contained within two concentric rings. 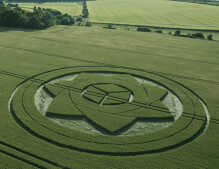 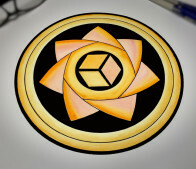 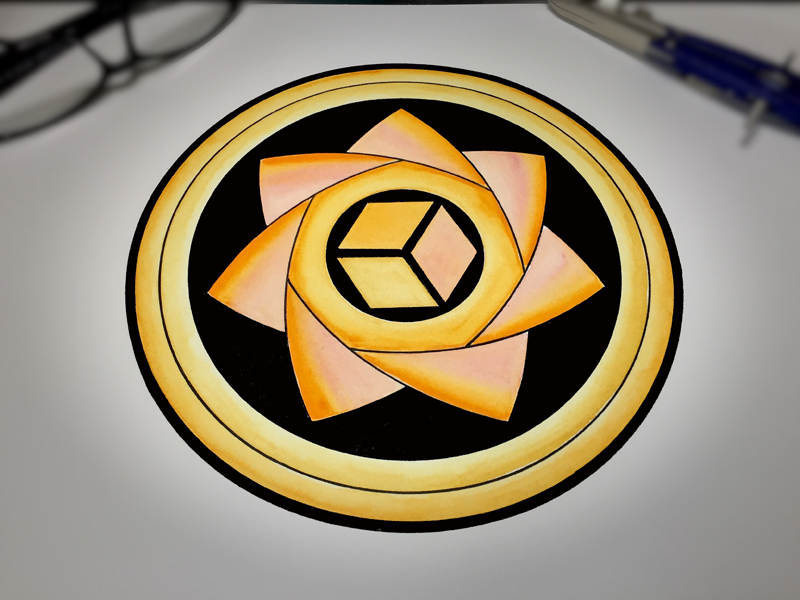 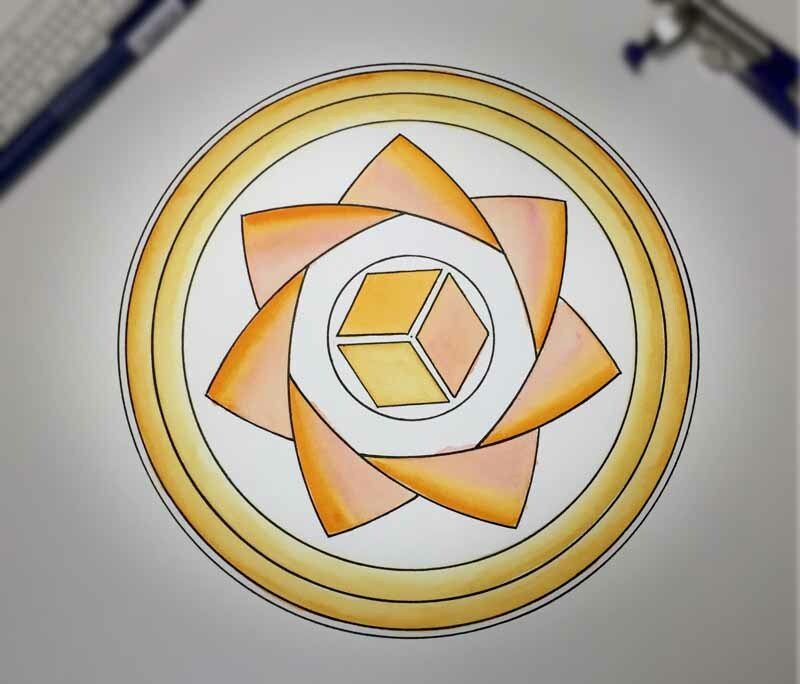 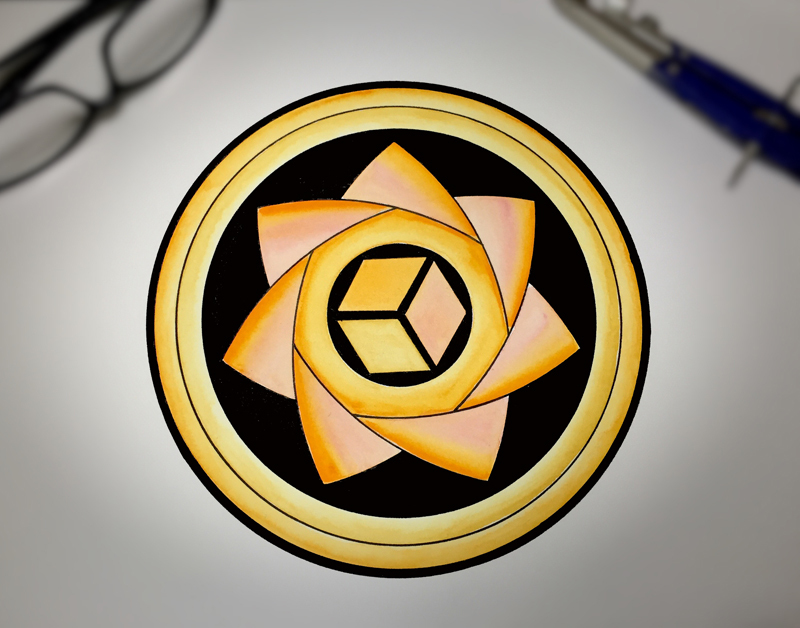 At the centre of the flower is a stylised cube (hexagonal) – very much like the cube seen in the centre of the Waden Hill crop circle back in April. 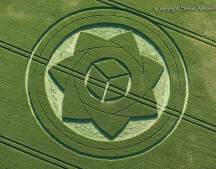 At Waden Hill the cube was surrounded by a design of six, nested banana shapes. 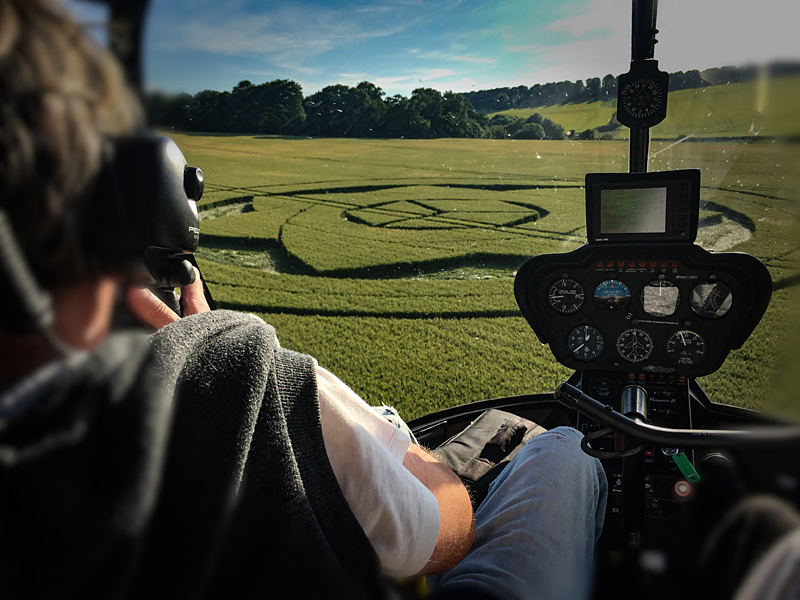 The main formation is accompanied in the field by a small double ringed circle (see image gallery) which might be seen as a satellite circle. 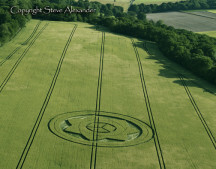 The marriage of six and seven is interesting. 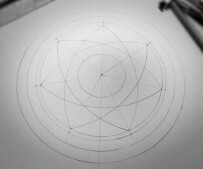 Seven is the Virginal number, the sacred, mysterious feminine, that guards what lies behind the veil. 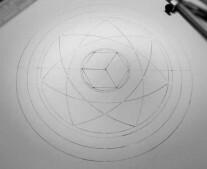 Six is the harmonious Structure, Order and Function of the World. 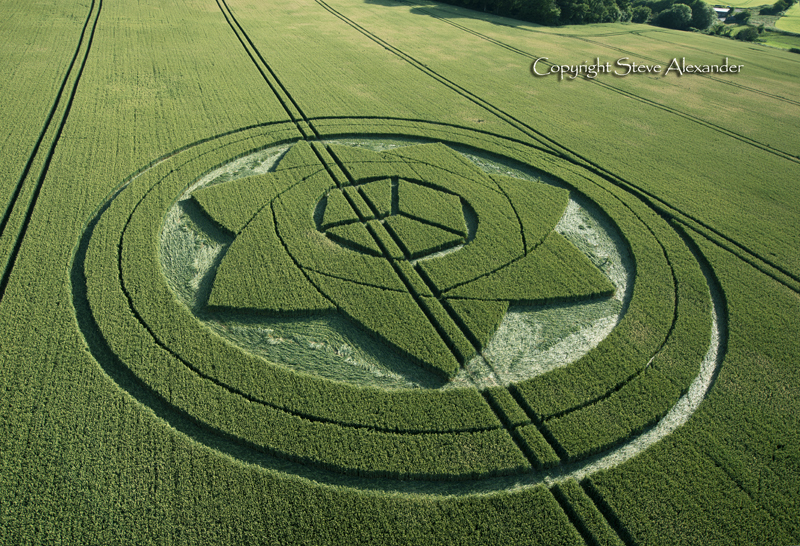 Together they create the transcendent transformational number thirteen. 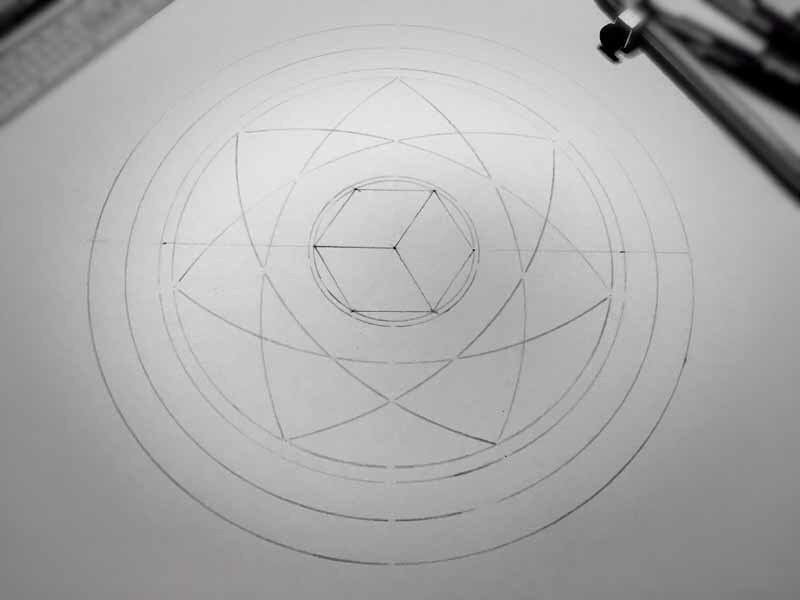 There is deep meaning to be contemplated in this circle regarding the number combinations and their relationship and positioning to one another. 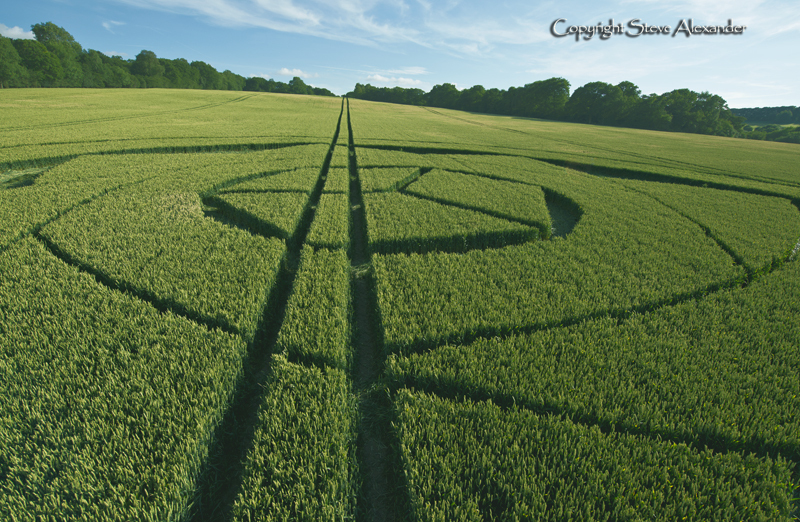 Unlike so much of the world these days, the crop circles require time, patience and commitment of self to understand them. 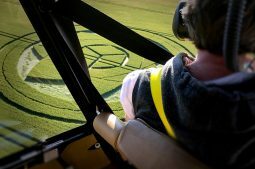 Far from being simply instantly decipherable codes, they often have hidden depths to explore – something that takes time. 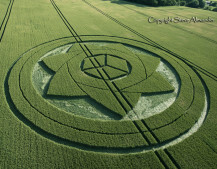 As mentioned above, the marriage of six and seven is interesting. 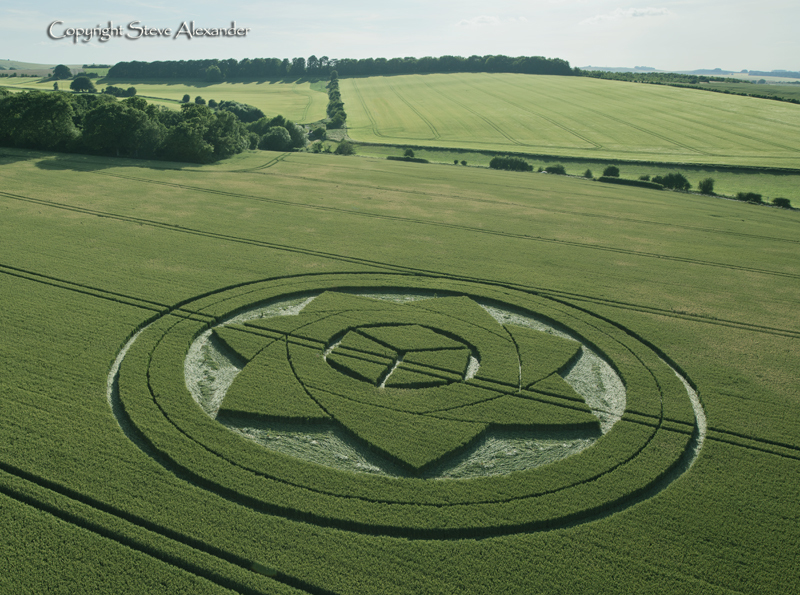 Seven is the Virginal number, the sacred, mysterious feminine, that guards what lies behind the veil. 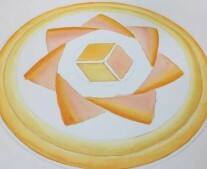 Six is the harmonious Structure, Order and Function of the World. 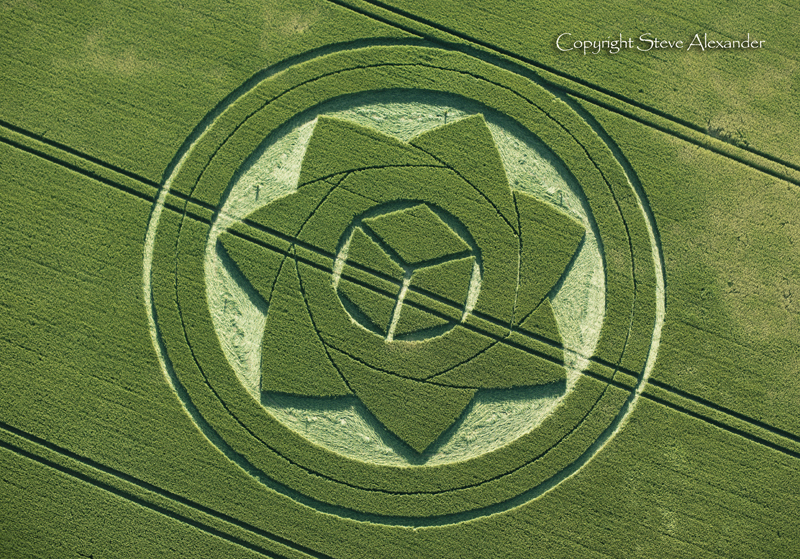 Together they create the transcendent transformational number thirteen. 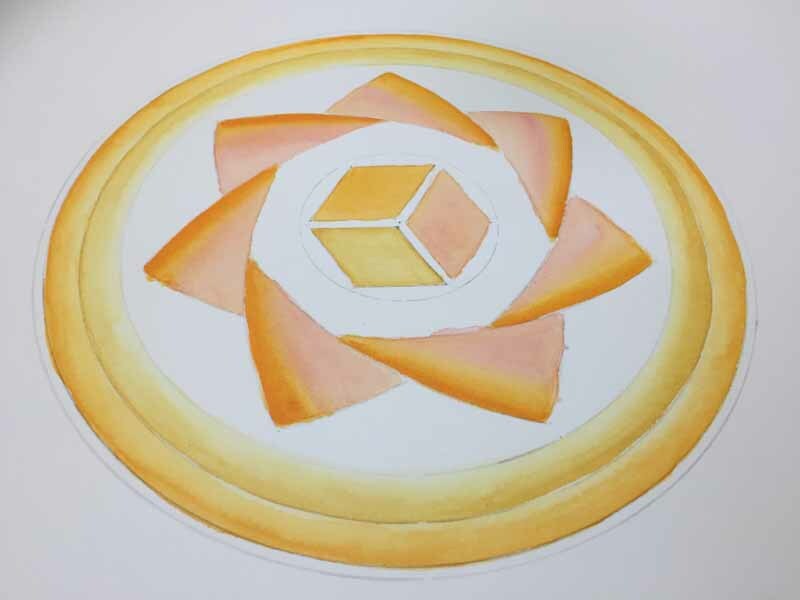 There is deep meaning to be contemplated in this circle regarding the number combinations and their relationship and positioning to one another. 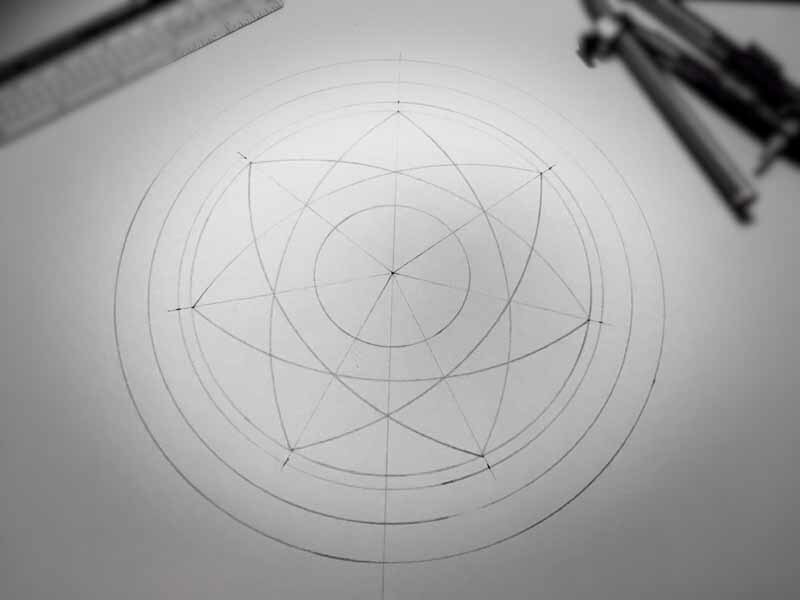 The circle is first divided into seven to create the seven-fold flower – arcs connect every third point. 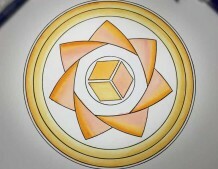 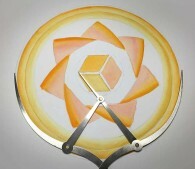 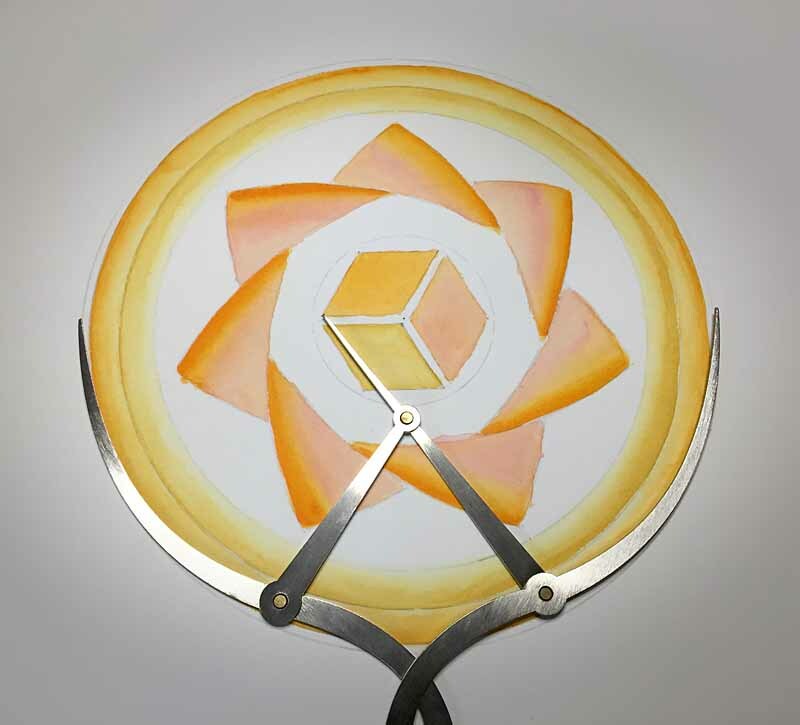 Then the central circle is divided by six to create the hexagram out of which the isometric cube is formed by connecting every second corner of the hexagram to its centre. 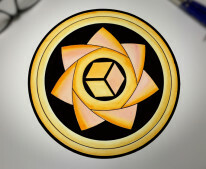 This is a beautiful and harmonious design and I found it deeply moving to draw and contemplate.